Dream honeymoons deserve just as much attention to detail and expert planning as the perfect wedding. When you enjoy your first holiday together as husband and wife, you want to ensure you travel to the right honeymoon destination at the right time of the year. We have honeymoon packages that will inspire. If you dream of a luxury safari, sipping champagne under a canopy of stars; or simply relaxing on a beach or by - the romance you are looking for is only a call away! 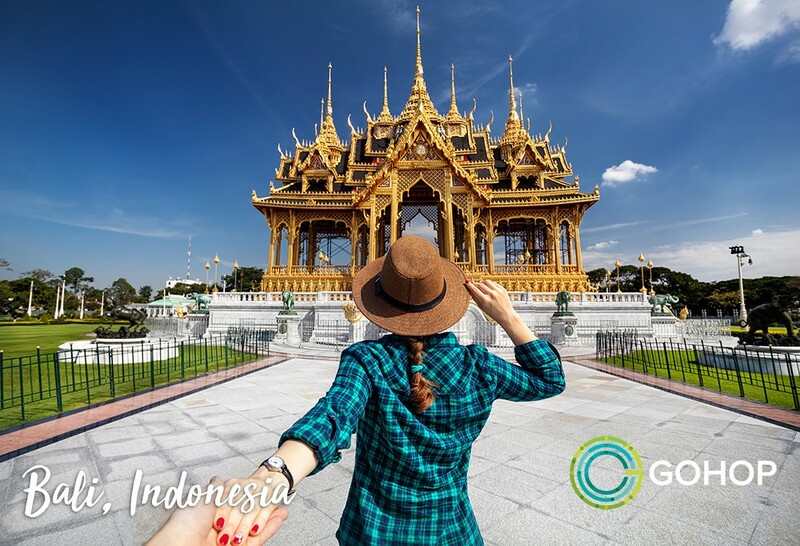 As well as firm favourites like a Maldives honeymoon, The Caribbean and South-East Asia, you will also find other carefully selected honeymoon destinations. 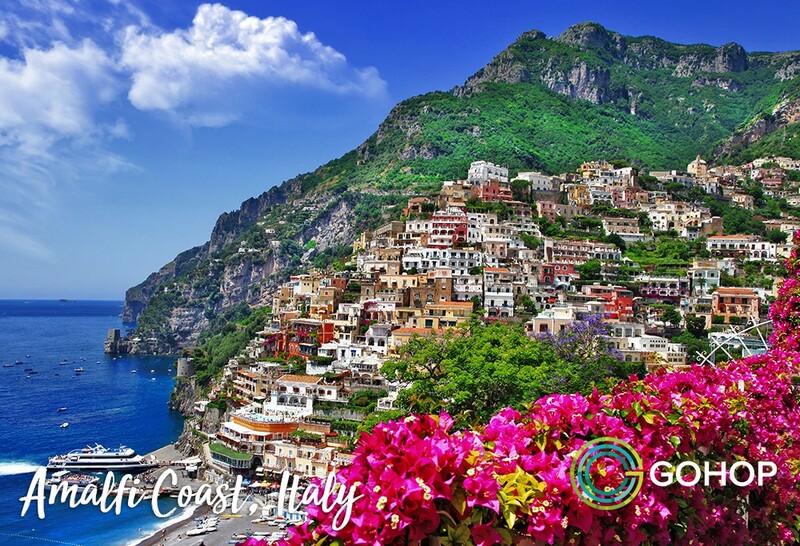 Beautiful Bali, sensational Sri Lanka and inspirational Italy honeymoon to name a few. Your honeymoon itinerary will be created by our passionate and knowledgeable team of specialists. 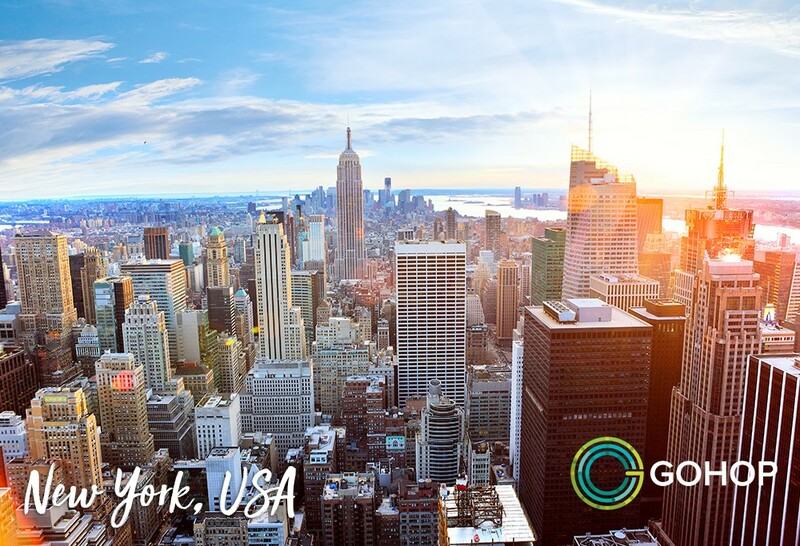 Combined this with, our network of reliable and knowledgeable local representatives, allow you to experience the trip of a life time, secure in the knowledge that all your needs are taken care of! 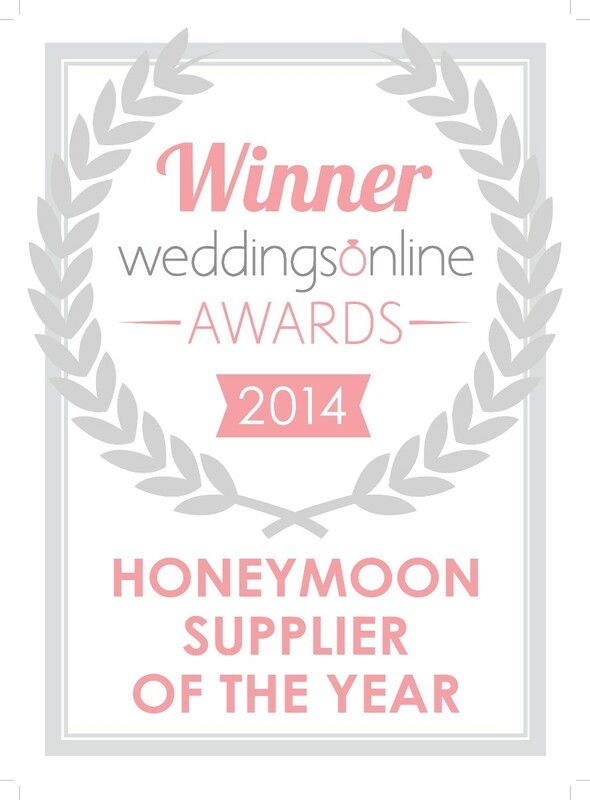 We were delighted to be chosen "Honeymoon Supplier of the Year" for 2013, 2014 and 2015. We are also proud to have been a winner of the "Friendliest Business Award" by the Dublin Chamber of Commerce. 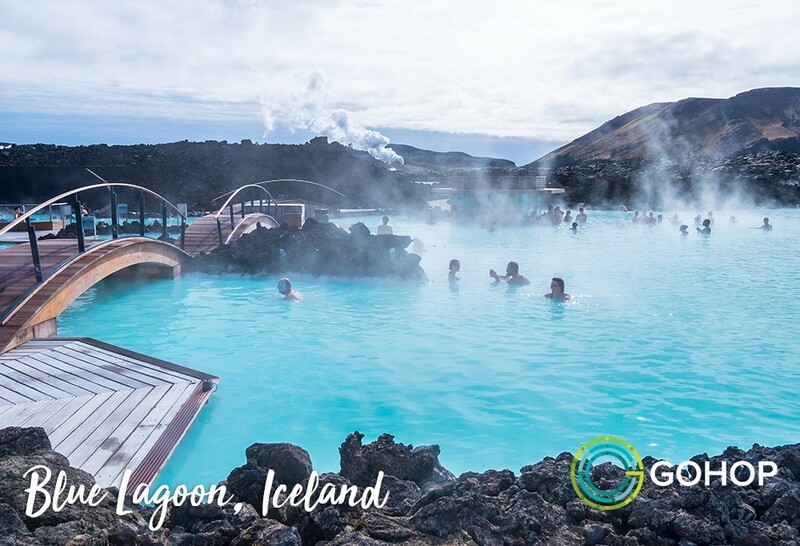 GoHop.ie are an Irish owned and managed company, Licensed and Bonded under Travel Agency no. 0535. This means that your booking is safe and secure. For a personal consultation with our experts call us on 01-2412389 or visit our Pearse Street Offices, Dublin 2. I would highly recommend Jennifer in GO HOP to look after your honeymoon she found us the perfect honeymoon and was very helpful , friendly and responsive! We will be using GO HOP again to book our return trip to the Maldives! Jennifer in Gohop.ie went above and beyond for us to give us the honeymoon of a lifetime. I have recommended them to friends and would recommend them to anyone looking for the perfect honeymoon or holiday with no hassle. I found Sinead at GoHop incredibly helpful at helping organise our honeymoon. She was always quick to respond to our requests and came up with a variety of options in a variety of countries to help us pick our perfect honeymoon. I will be recommending Sinead and GoHop to all future friends getting married! A great help in planning our ideal honeymoon! We had the pleasure of dealing with Jennifer Kearney and nothing was too big or too small of an ask, so professional and very helpful she really helped us tailor our honeymoon for our needs, we had the most amazing honeymoon to San Fran & Hawaii & all details were just perfect thanks to Jennifer, amazing at her job. We’ll have memories forever from this trip ???????????? Our travel agent Jennifer Kearney went above and beyond to make our honeymoon to Vietnam pure perfection. Jennifer's attention to detail and quick responses and suggestions made everything so easy and organized. We found them helpful, gave us options based on our budget and request. Absolutely professional and on the ball in every way. Great value for money. Very friendly staff, very helpful. Orla from gohop was absolutely top class, put together a wonderful package with attention to detail. Would highly recommend their services. GoHop.ie were very helpful in organising all aspects of our honeymoon to Thailand. They really pulled out all the stops for us and did a lot of the thinking. 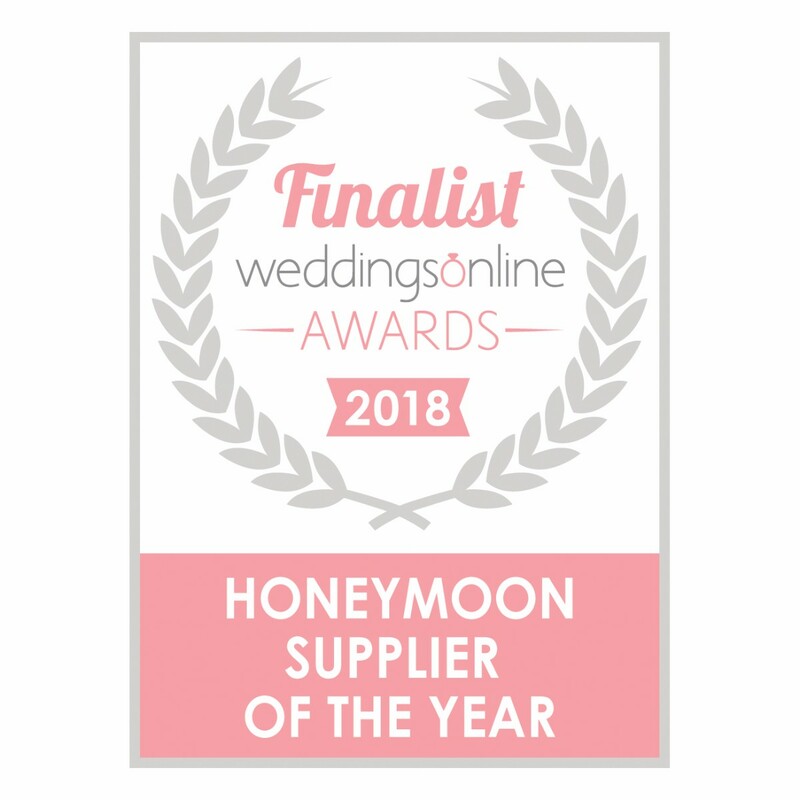 When you are putting so much time and energy into organising your wedding day, the last thing you need is to have to research every aspect of a honeymoon. We put our trust and confidence in Jennifer and we were not disappointed by her efforts. Our honeymoon was fabulous and every leg of the holiday had been well thought out. It was just what we needed after our wedding. All went on the Honeymoon despite an initial blip with Aer Lingus at the start of the honeymoon with lost bag!!! The California roadtrip followed by the suggestions in Hawaii were amazing and thanks go Jen in gohop who organised everything particularly the upgrades in Hawaii. P.S. We did the road to Hannah on Maui and their advice came in handy andy for all things Maui related. Just wanted to vocalise the huge support gohop gave us throughout and hence this post as we came across them on weddingsonline. Had great support from Jennifer and the team at Gohop.ie helping us arranging our honeymoon! We had some special requests, and they did their outmost to help us get everything arranged. When the right solution was presented and we went for it, the whole trip and arrangements were done swift and professionally. Got great help from this team to make our honeymoon very enjoyable! Thanks! We booked our honeymoon to South Africa with Andre from Gohop and they were fantastic to deal with. We would 100% recommend them as they were so helpful and they put together the dream holiday for us on our budget! Thanks! Gohop.ie were so efficient, helpful and great value for money. Becci was so helpful and friendly and nothing was too much for her! Thank you truly for making my life that much easier, got rather confused by the sheer volume of options and you guys made it easier to pick what did end up being the holiday of a lifetime. patience, tolerance and for jsut being there when I nearly lost the plot, thank you Cindy and gohop truly ! South Africa we hope to return sometime soon! 5 Honeymoon Styles - Which One's For You? Ask The Experts - Honeymoon - Where do I go to catch the sun after my winter wedding?